I was interviewed on the BBC’s flagship current affairs programme, Today, this morning about the King IPO. There’s a lot to get into the 3 minute segment. I did my best. You can hear it on the BBC website for the next 7 days. 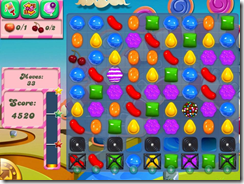 The Candy Crush Saga segments starts at 23:00.